So you want to learn more about banana nutrition? This fruit is a natural powerhouse food for athletes, active people, and anyone looking to improve heart health. Banana is one of the most high energy fruits, and it contains the highest amount of natural sugars. Sugar is not the enemy. It’s the “bad sugars” – white sugar and white flour, or refined sugar – that you want to stay away from. The thing is we need sugar to fuel our muscles and allow movement, which is especially important if you live an active lifestyle (and we all should). 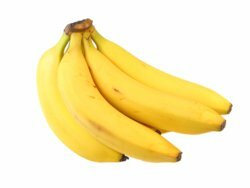 Fuel activity - Magnesium found in bananas helps convert blood sugar into energy and protein, while potassium helps deliver blood sugar to your muscles, to keep your legs moving as you run. Replenish electrolytes - We all know we need to replenish our electrolytes after a long run or other exercise, that’s why Gatorade is so popular. But Gatorade is loaded with “bad sugar” as mentioned above, while the potassium in bananas provides a natural alternative. Bananas are loaded with fiber-one of the best nutrients to promote heart health. Finally, magnesium found in bananas is important to reduce the risk of coronary heart disease. Many people don’t get enough magnesium, especially people who eat a lot of white bread and refined, processed foods. Bananas are an easy way to ensure you are getting more magnesium. They can also treat ulcers by strengthening the stomach lining. Bananas may also have antibiotic capabilities, so they can boost your immune system. Finally, the nutrients in bananas help keep skin healthy. Who doesn’t want clearer, more vibrant and healthy skin? Are you a numbers person? Here is the precise breakdown of banana nutrition information. Bananas are a low calorie, high nutrient food. 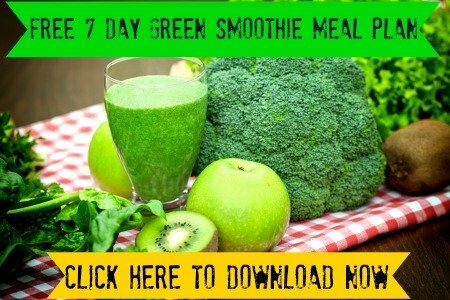 It is a naturally fat free and cholesterol free food. 3g of fiber might look like a small quantity, but that’s 12% of your daily needs, just from one banana! If you have 4 bananas in one day, that’s 48% or almost half your fiber needs! And that’s just with bananas, not to mention the other fruits and veggies you’re probably eating with it. It’s easy to eat that many bananas if you throw 2 or 3 in your morning smoothie, and take 1 or 2 as an easy snack on the go. 14g might look like a scarily high number. But remember, these are natural sugars. There’s a reason why these sugars exist in nature: to encourage us to eat more of these healthy foods! It’s much better to eat more of this natural sugar than to load up on refined sugar in junk foods. The refined sugar is what causes obesity, not the natural sugar found in fruits. And if you’re an athlete, you absolutely need this kind of sugar to fuel your muscles. So now you know the basics about banana nutrition, congratulations! Kirschman, John D. Nutrition Almanac. New York: McGraw, 2007. The material on this website is for educational purposes and is not intended to serve as a replacement for professional medical advice. Any attempt to diagnose and treat your specific situation should come under the direction of a physician who is familiar with nutritional therapy. See the disclaimer for more information.